There are still broad swaths of uncharted territories concerning the role lipid core plaques play in heart disease. 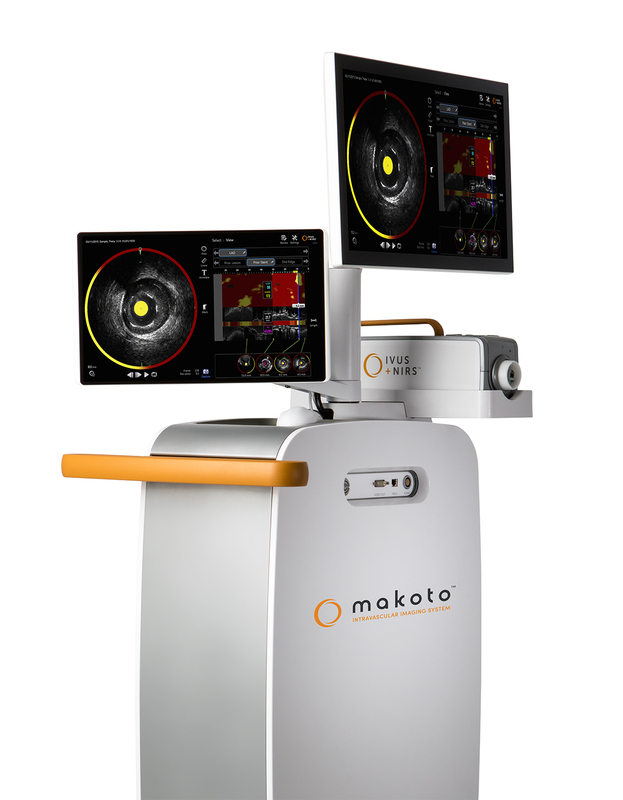 Now, you can achieve unparalleled insights with the Dualpro™ IVUS+NIRS catheter and its accompanying Makoto Intravascular Imaging System, the only FDA-cleared dual-modality catheter and imaging system indicated for the detection of lipid core plaque (LCP). By analyzing both structural and compositional data you can learn about the e­ffects of specific treatments on plaque size and lipid core content, develop novel preventative approaches for plaque stabilization, study regression of plaque size and composition, or guide the use of existing therapies. 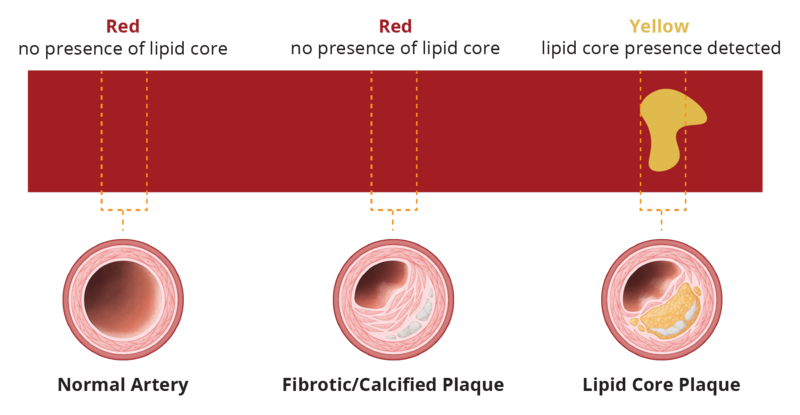 The system automatically quantifies the total lipid core in regions of interest as the Lipid Core Burden Index (LCBI). LCBI numbers can be directly compared with prior validation studies for greater understanding of the underlying tissue pathology and to make associations with the published literature for outcomes related to LCBI. Anything else and you are leaving valuable data on the table. Make confident intervention decisions with the aid of the Lipid Core Burden Index (LCBI) and the simultaneous co-registered acquisition of IVUS and NIRS. 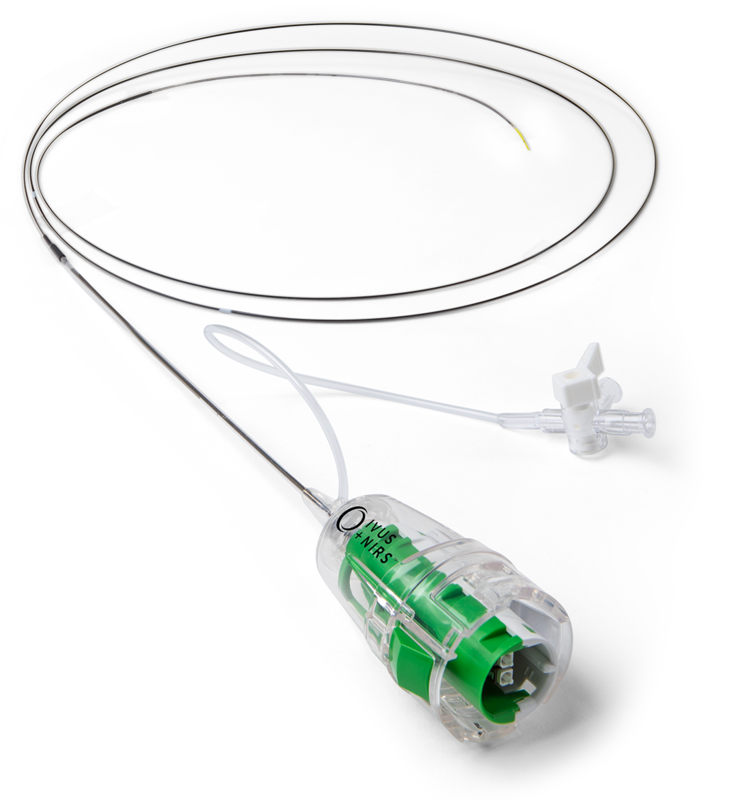 Dualpro™ is the only intravascular imaging catheter on the market today utilizing extended bandwidth IVUS technology. 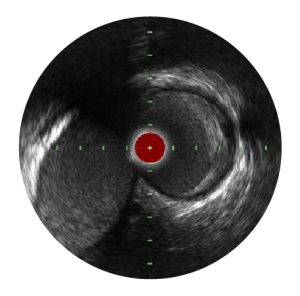 By emitting and carefully processing a broad band of frequencies, the Dualpro IVUS brings you best-in-class image resolution without compromising depth of field. 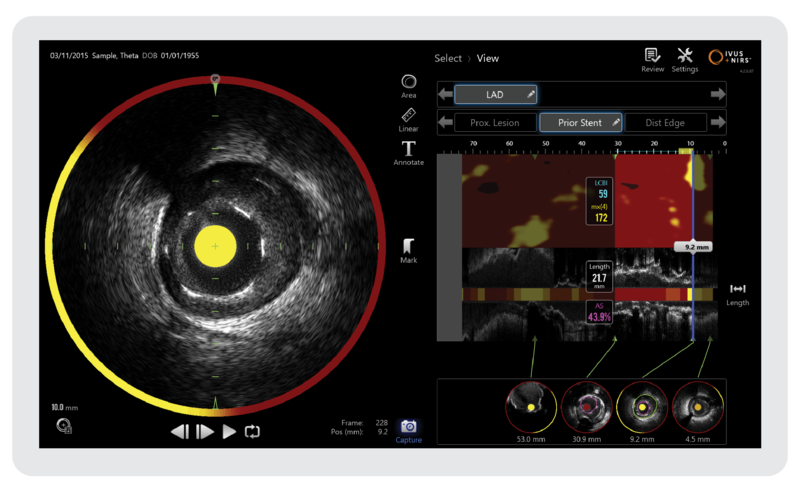 With a crisper IVUS image of the vessel structure you can more easily identify the degree of stenosis, visualize and quantify plaque burden, determine the landing zone for a stent and assure proper stent deployment. With the power of NIRS, you can gain insights into a plaque’s composition and can readily distinguish between stable plaque and dangerous LCP. Learn how NIRS data is collected and simplified into a single image you can trust. Multi-vessel NIRS can be easily and safely performed to assess and identify vulnerable patients and vulnerable plaques. Intravascular NIRS imaging in mildly or non-obstructive coronary arteries can be used as a tool to identify both patients and non-culprit arteries at high risk for future events and should be considered for use in patients undergoing cardiac catheterization with possible PCI. CAD patients with an LCBI equal to or above the median of 43.0, as assessed by NIRS in a nonculprit coronary artery, had a four-fold risk of adverse cardiovascular events during one-year follow-up. J Am Coll Cardiol. 2014 Dec 16;64(23):2510-8. Madder RD, Husaini M, Davis AT, et al. Detection of large LRP by NIRS at non-stented sites in a target artery was associated with an increased risk of future MACCE. Eur Heart J Cardiovasc Imaging. 2016 Apr;17(4):393-9. Schuurman A-S, Vroegindewey M, Kardys I, et al. NIRS-derived LCBI is associated with adverse cardiac outcome in CAD patients during long-term follow-up independent of clinical risk factors and plaque burden. Eur Heart J 2017; ehx247, Epub ahead of print. Danek BA, Karatasakis A, Karacsonyi J, et al. During long-term follow-up of patients who underwent NIRS imaging, high LCBI in a non-PCI target vessel was associated with increased incidence of MACE. Cardiovasc Revascularization Med Mol Interv 2017;18(3):177–81. 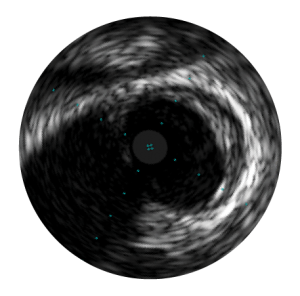 Gain twice the insights into Coronary Artery Disease with IVUS+NIRS. See how combination IVUS+NIRS imaging offers cardiologists unparalleled insights into the role LCP plays in heart disease. BURLINGTON, Mass., December 14, 2018 — Infraredx, Inc., a pioneer in intravascular imaging for mapping coronary artery disease, has announced today that Jason Bottiglieri has formally resigned from his four-year post as President and Chief Executive Officer, effective December 14, 2018, to pursue other leadership opportunities outside of Infraredx. BURLINGTON, Mass., September 24, 2018 — Infraredx, Inc., a pioneer in intravascular imaging for mapping coronary artery disease, presented late-breaking clinical trial results for its landmark Lipid-Rich Plaque (LRP) Study today at the 30th Transcatheter Cardiovascular Therapeutics (TCT), the annual scientific symposium of the Cardiovascular Research Foundation. Cardiovascular disease remains the number one cause of death globally, accounting for 31 percent of deaths,1 and despite optimal medical therapy and risk modification strategies, coronary events continue to occur. The LRP Study demonstrated the ability of intravascular ultrasound (IVUS) and near-infrared spectroscopy (NIRS) technology to identify patients and coronary plaques as vulnerable to future major adverse cardiovascular events (MACE), such as heart attacks. BURLINGTON, Mass., September 12, 2018 — Infraredx, Inc., a pioneer in intravascular imaging for mapping coronary artery disease, today announced that results from the highly anticipated Lipid-Rich Plaque (LRP) Study have been accepted as a late-breaking clinical trial at the 30th Transcatheter Cardiovascular Therapeutics (TCT), the annual scientific symposium of the Cardiovascular Research Foundation, to be held on September 21 – 25, 2018 at the San Diego Convention Center. BURLINGTON, Mass., July 31, 2018 — Infraredx, Inc., a pioneer in intravascular imaging for mapping coronary artery disease, today announced the Makoto™ Intravascular Imaging System, and accompanying Dualpro™ intravascular ultrasound and near-infrared spectroscopy (IVUS+NIRS) catheter, is now available in Japan. The launch follows a successful Spring 2018 limited market release, which included more than 10 hospitals in Japan. BURLINGTON, Mass., March 11, 2018 — Infraredx, Inc., a pioneer in intravascular imaging for mapping coronary artery disease, today presented a poster at the American College of Cardiology (ACC) 67th Annual Scientific Session supporting the value of combination intravascular ultrasound (IVUS) and near-infrared spectroscopy (NIRS) imaging technology to identify lipid core plaque (LCP), an underlying cause of serious cardiac events.